It’s important to always be on the hunt for what’s working and how we can get better. Looking to what’s working in industries unrelated to my own is my favorite way to find inspiration. I used to work a lot. Early on in my journey of founding Come Alive Creative I was putting in 40+ hours per week on a regular basis. Then I heard some interesting facts on a podcast about the sawmill industry. 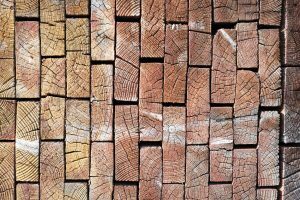 These practices have helped sawmills remain relevant and even thrive in otherwise highly competitive markets. So I began to wonder, how can I recycle the work I’m doing so nothing gets wasted? Plenty of sources cite business owners and entrepreneurs being overworked. There is also powerful research that reveals the ineffectiveness of content marketing. Personally, content marketing fits my style. I’m a teacher by trade. I want to provide value and build trust before we do business together. Quality content and inbound marketing can make that possible. However, I was wasting a lot. The average article or podcast episode can take 3+ hours to create and publish. I wanted that piece of content to go further so I could spend my time on better tasks. All of us learn in different ways. Again, I practically have my masters degree in education. When I wrote lesson plans, I made sure to present them in a way that covered at least three different learning styles. Why aren’t we presenting our content in the different ways our audience is already consuming? For example, what’s your favorite way to learn? I consume information through podcasts, blogs, newsletters, eBooks, physical books, social media, webinars, and in-person courses. It seems ridiculous that I spend so much time on a single piece of content for it only to get consumed one way. I’m not a miracle worker, but I can work smarter. Thus, I made some new rules my content needed to follow. If you’re creating content for a single purpose, you’re cheating yourself and your audience. Awhile back, I was working on an idea with a Google Adwords friend. I wanted to sell a course on how to start a podcast and he was going to help me vet the idea before I wrote a course. I wrote a 4,000+ word document on everything I knew about creating, recording, and launching a podcast. We put it on a one-page website, promoted it with some Google Adwords campaigns, and evaluated if a demand was there. At the time of testing, there wasn’t. I could have called it quits, learned from the test, and moved on. Except I didn’t. Instead of scrapping the essay, I broke it into several 600-800 word articles and sold the blog posts to OSTraining- an open-source education website. The posts I sold had a shared license and I used them on my personal website. The posts performed well for OSTraining and we decided to create a video on how to start a podcast. The videos were also sold under a shared licensed so I was able to reuse them on my website as reference for the clients I consult. I’m in the process of designing an educational podcast resource website. Once that’s complete, I will make the videos available through a membership. Finally, I’m standing in front you today using it as an example for my talk on recycling. Thus, one article on podcasting is being used in 7 different ways across written, visual, and audio platforms. I was able to directly monetize 3 of those 7 methods and all of the ways helped me gain more views, social clout, and leads. Question: Let’s start simple. What is your best or most popular piece of content? In what ways can you reuse it? It’s easy to think of those tasks in isolation and do them one at a time. However, you can usually find one task to do that will make all the other tasks easier. Instead of doing the task individually, I devised a plan to get maximum impact from them working together. I contacted a few local businesses that know me and asked if they wanted to be part of video series we were putting together. Each episode would feature the business owner asking a question about a topic they needed an answer on. The perk for them was to get their shop featured and get their question answered. Basically, I was giving them value before ever asking for anything in return. We confirmed the one question before each interview. This helped us learn each owner’s struggle. Also, we researched and wrote a blog post for the site based on the question. We took a morning and went to film the interviews in their shops. This process was batched and scheduled so we could quickly go to each location. This way I was able to get positive face-to-face time with the owners and learn more about their store. My team is now producing the videos. Again, this is a big deal because it is more relevant content for social and/or our website. We’re also hoping other local business owners will see it and be interested in taking part. Hopefully, it will help us gain a positive reputation in our hometown. While this is helping us with networking, content creation, marketing, etc, we still need to compensate our time. Thus, we’ll be seeking sponsorship for the videos. It’s the perfect kind of content for businesses or organizations that want to support our city. So again, instead of doing any one of those tasks individually and making little progress, I am able to address multiple to-dos all at once in order to make maximum gains. Question: Reflect on your upcoming to-dos. What task will help you build momentum to complete all of your other tasks? What tasks can you combine to make them all better? Anytime you find yourself doing the same task multiple times, chances are you can automate it. Everyone asks me about podcast equipment, so I built a website… and wrote an eBook. I get asked every week via conversation, social, and email, “what equipment should I buy?” Now, instead of asking a bunch of questions and giving one of several recommendations, I just send them to EquipmentforPodcasting.com. Sign up for the course and you automatically get redirected to a complete list of my equipment recommendations and receive the first of 9 emails written by me explaining the advice I give every time. Affiliate income. If you purchase your equipment through my link, I earn a tiny commission at no extra cost to you. It’s a way for Amazon to say thanks for helping get them a sale. Save Time. The email course is controlled by Optinmonster and ConvertKit. OptinMonster automatically gets your name and email and adds it to my mailing list. ConvertKit is amazing because it automatically sends the emails for me. Instead of writing a new email to each new subscriber, I wrote the email series one time and ConvertKit sends each email from the day the subscriber signed up. Set it and forget it. This system was set up once and will continue to run without my oversight. If anyone does need to reach me, they can click reply to any of the ConvertKit emails and it gets sent right to me. I can’t use the content in the emails just once. That would be wasteful. 🙂 I took the content from the emails (which is about as clear and simple as you can get), expanded on it, and turned it into an eBook on choosing podcast equipment. It’s intended for the people who want everything they need to know in one place and it’s all based on my 15+ years experience in audio. Question: What task are you doing repetitively all the time? Is it necessary that you do them? How can you begin to replace yourself? The principles I’m talking about are not new. Entrepreneurs are doing this all of the time. Gary Vaynerchuk answers fans’ questions in his video #AskGaryVee series. The audio from the videos gets turned into a AskGaryVee podcast and all of the episodes have been turned into a book. Tim Ferriss also took the knowledge gained from his ample podcast interviews and used it for the Tools of Titans book. Here’s the thing: recycling and automating content works. It saves you time and gives your audience more opportunities to receive the value you offer. I literally just had a conversation with an acquaintance today on how overwhelmed he feels with his business and his processes. I understand and feel that way too at times but I refuse to let my business run me. Start small. Pick an area of your work and think about how to make this work for you. Once you know, make it happen.